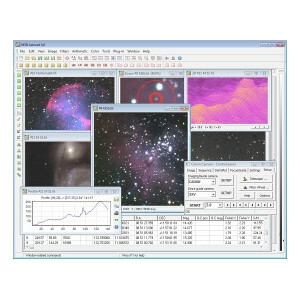 A complete software for image processing, photometry, astrometry, camera control and image stacking for digital and film images. All major telescopes, filter wheels, focusers are supported too. New drivers are released almost every month. 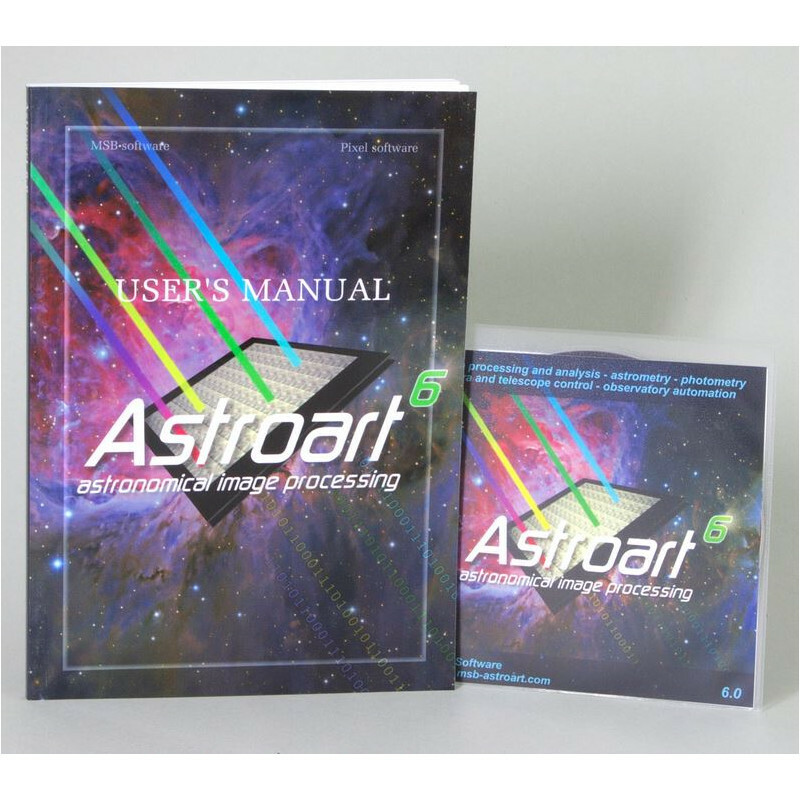 Astroart is also an open system with plug-in support. All programmers of C, C++, Pascal can create new filters using the free development kit. Advanced filters: Adaptive low pass, Maximum entropy deconvolution, Larson Sekanina, hot pixel removal, unsharp mask, remove gradient, deblooming, DDP, FFT, etc. with full preview. 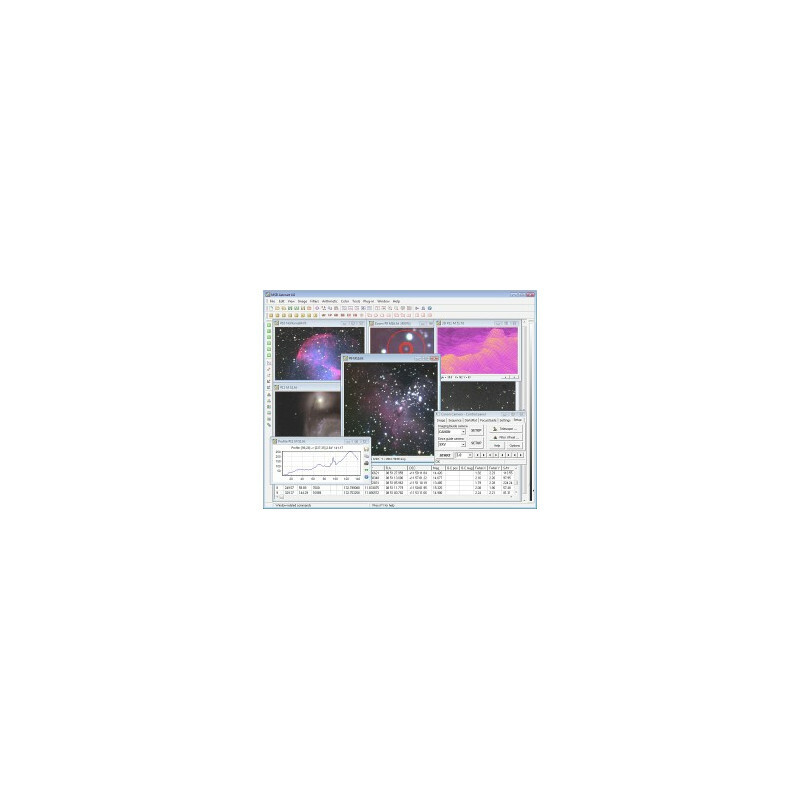 Astrometry and photometry: with integrated star atlas, GSC included, USNO and UCAC supported. MPC reports, aperture photometry, batch photometry, estimation of measuring errors, plate solving. MPCORB minor planets. Image stacking: Automatic on sets of images, with sub-pixel precision. Five algorithms (star patterns, one star, two stars, planet, correlation), drizzle, color synthesis and batch processing. Color imaging: Native 96 bit, visualized in real time without modifying the underlying data. Quadrichromy LRGB and WCMY with L.A.B. conversion. Color balance, color curves, adaptive saturation. 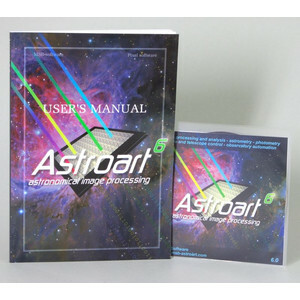 High speed: Astroart is a extremely fast software thanks to its code optimized in SSE assembly.